Pieces cast with No. 1 Porcelain Slip fire to the translucency of fine porcelain. 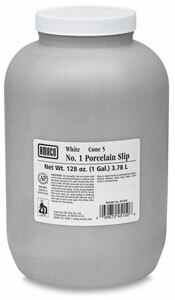 The working qualities of this white slip make it quite flexible and easy to cast. 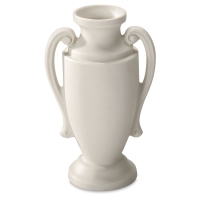 It releases easily from molds and patches well when necessary. No. 1 Slip is excellent for doll making. The recommended firing temperature is Cone 5 (2205°F, 1207°C). However, in special cases, such as firing small, flat lithophanes, the firing temperature may increase to Cone 6 (2269°F, 1243°C). Shrinkage at Cone 5 is 11.75% and absorption is 0%. This slip is not talc free, but is ACMI approved for talc content. 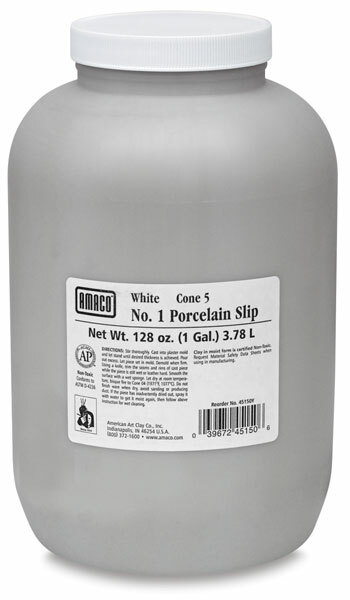 Comes in a 1 gallon (3.8 L) plastic jug.